Stop in and shop our top-of-the-line grills today! Contact us for details. Proudly local and family owned for 40+ years, Morgans Ace Hardware provides premium brands of outdoor power equipment, hardware and grills with hometown customer service and a knowledgeable sales team. 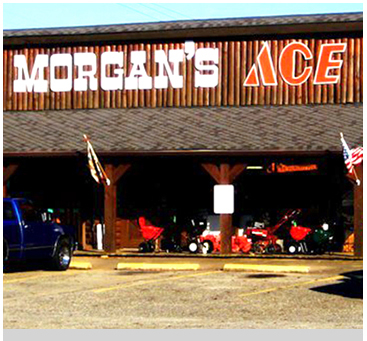 Located in the heart of downtown Woodstock, Georgia at the corner of Main Street and Arnold Mill behind Freight next to the park, Morgans Ace Hardware provides a variety of services from maintenance to supplying parts and accessories. Our owner, Mike Morgan, has been proudly serving the Cherokee County Community for many years. Stop by and visit our store located at 109 East Main Street, Woodstock Georgia to see how we can help you with your hardware or equipment needs. Se habla Español. Sun: 12:00 noon - 5:00 p.m.